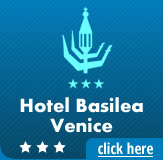 A family owned chain of 3 and 2 star hotels in the Cannaregio district in the center of the beautiful city of Venice - all just a stone's throw from each other! The personal touch afforded to all of our most welcome guests is a consequence of our philosophy of applying a large hotel model of service, to a small scale cosy hotel, thus offering our clients the finest service but with a personal touch and all at great value for money. The Elma Hotels chain consists of 4 enchanting hotels – Antica Casa Hotel Carettoni, Hotel Atlantide and Hotel Basilea – all located in the best area of the famous floating city of Venice in the highly sought after Cannaregio district of Venezia. 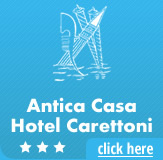 This 3 star hotel offers 16 unique rooms in a luxurious décor with mosaics and finely crafted woodwork. In keeping with our ethos on high quality personal service but at an affordable price, our multi-lingual concierge staff are available 24hrs per day to offer help and information for the planning and booking of your fantastic stay in our floating city. The district of Venice known as Cannaregio is famous as one of the most sought after parts of the city because of its beautiful architecture and lively atmosphere, and because of its convenient location just between the city's principal Railway Station - Santa Lucia - and the buzzing heartbeat of the floating town centre. Within this district our hotels are also located in or on the border of the fantastic location known as the Lista di Spagna - an ideal spot from which to base your soirées in & around the magnificent city of Venice. Dubbed the 'Gateway to Venice', the Lista di Spagna, one of the most identifiable and attractive in the city, which runs east from the main Railway Station, Santa Lucia. From the Ponte degli Scalzi bridge just a minute's walk away, one can then cross the Grand Canal and enter the lively hub of the breathtaking town centre. All of Venice's most beautiful sights and places of cultural significance are within walking distance from all of our Elma Hotels, including the fabulous Rialto Bridge to the east, St Marks Square and the Palazzo Ducale to the south east and, for all public transport, parking and airport transportation, Piazzale Roma to the south west. 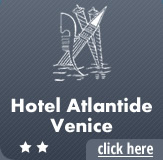 Take a look at our interactive Google Map of Venice at our Location page (location page) for a better idea of exactly where and how perfect our four hotels are situated.